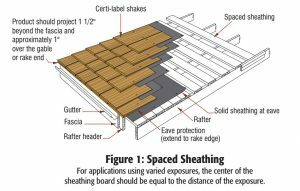 Why is Spaced Sheathing Important? Like all sloped roofs, cedar sheds water but is not waterproof and when cedar gets wet it naturally absorbs moisture. In addition to retaining moisture, a cedar roofing system is subject to extreme heat from the sun and from the hot air in your enclosed attic space. So after getting wet from a rain shower, the cedar will dry out over time with the help of the sun, wind and heat. But the extreme heat along with the trapped moisture will have a “steam effect” where the shingles are drying unevenly, from the outside in. Steaming of one side of wood is a well know technique to get wood to curve or bend when trying to get it to adhere to a certain radius. Unfortunately, that is not the desired result for your wood roof as the steaming will cause your roof shingles to curl and warp. Curling and warping are what eventually leads to cracking and splitting. And after a shake cracks and splits it will absorb more water and suffer more damage from the continuous freeze and thaw cycles. To keep this from happening, skipped sheathing is used as a substrate for wood roofing. Spaced Sheathing, also called Skipped Decking, refers to the construction details of the substrate which the cedar gets nailed to and thus secured to your home. Typically, 1×4 or 1×6 boards of wood are installed with a 3.5″ (maximum) space between each board directly over the roof rafters (or in a cold roof system, over the plywood deck). The boards need to be installed in accordance with the size of the wood shake so that the shakes are nailed in their correct location. 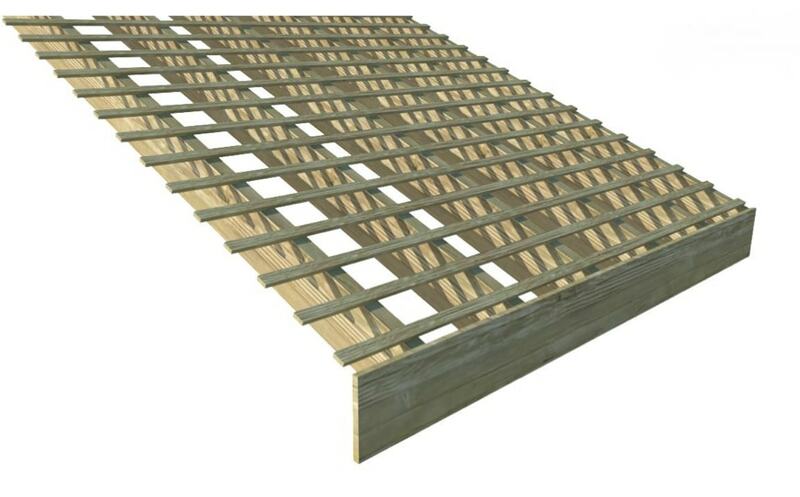 With the wood shingles no longer installed on solid decking, their is room for airflow to get under the shingles. The airflow will allow the underside of the shingles to dry out faster and more evenly while the spacing allows the hot air to pass under the shakes and out. Along with the proper maintenance, a cedar roof installed over a ventilated attic space with proper air flow on the underside of the shingle will add years, if not decades, to the longevity of your roof system. For any questions about this or any of your other roofing needs please feel free to contact us for a free consultation.